Please join us as we welcome back Martin Ross to Lolo Boutique. He will be exhibiting his newest creations on Friday, June 1, 2018 from 6pm on. You might also be able to watch him as he paints on site. 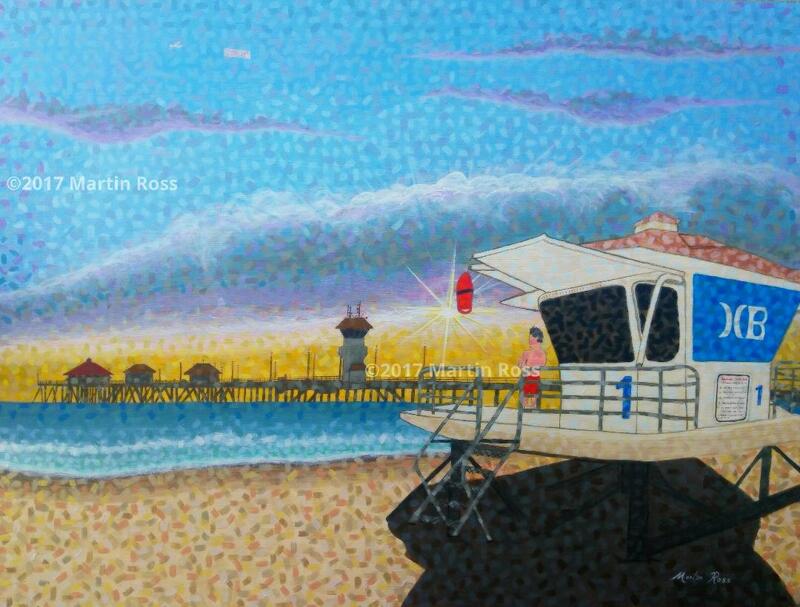 Martin Ross is a Local Fine Artist from Fullerton, California. He started to show interest on Art at the early age of 6, drawing and coloring on paper to later make posters for his personal collection and soon after started painting for others. He studied Graphic Design at Fullerton College but opted out to pursue his real passion, Painting. Some of his influences are Octavio Ocampo, Frida Kahlo, and Bob Ross. 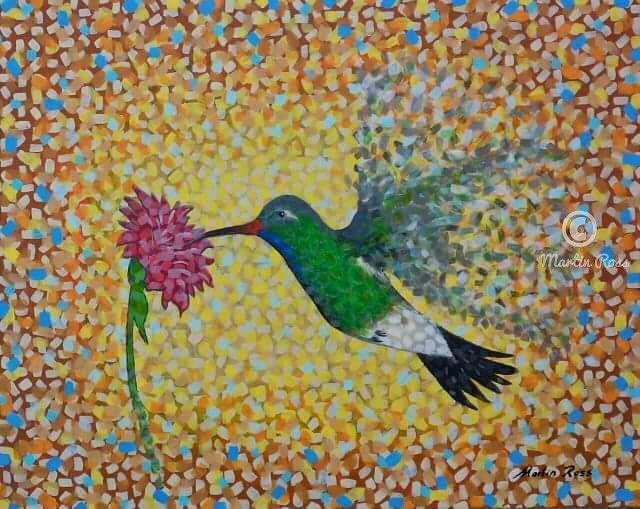 He is a proud self-taught artist who paints with Acrylics. 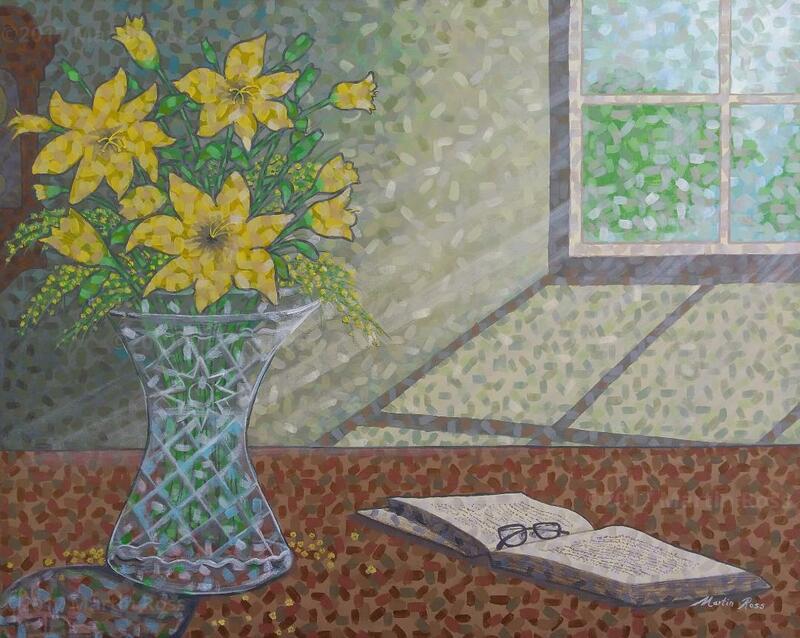 Ross started Painting the conventional styles until he decided to create his own technique that he calls the “Martin Ross style”, which is a pointillism technique where a repetitive pattern of brush strokes applied in all directions fill a specific spot giving the impression of falling confetti. 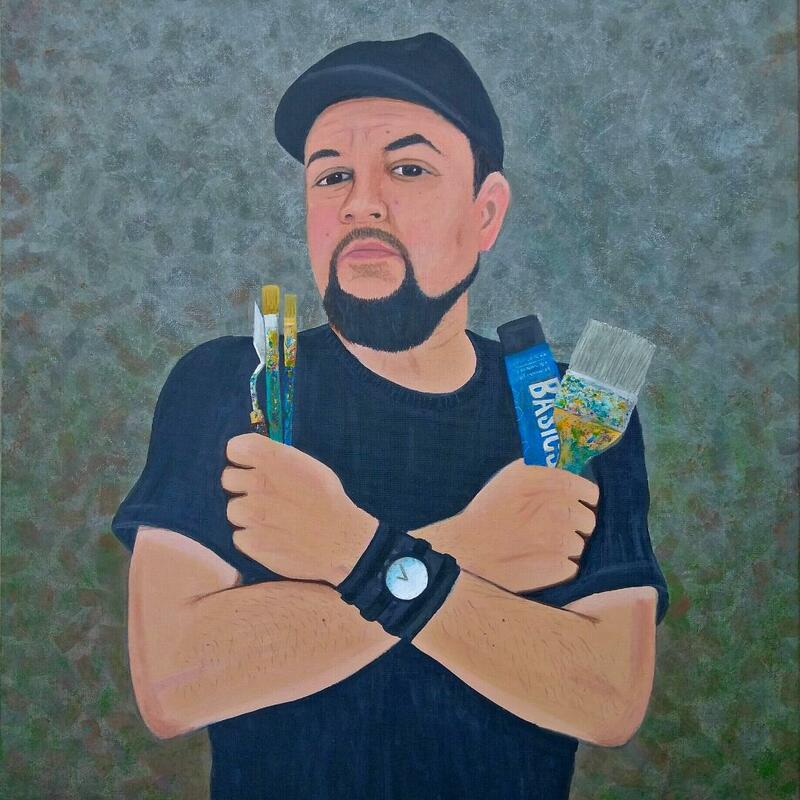 He has had solo exhibitions in Anaheim, Santa Ana, Los Angeles, Whittier, Fullerton and plans to take his Art to many places in the world. Ross believes that his colorful pieces can transmit good vibes and turn a boring wall into a festive happy one. He currently works and lives in Fullerton.